Officially from today summer is starting. ( Really? You should be kidding..I’m already sweating pool..lol). So see, we are stepping into summer. And June 21 st is National Peach day.So I am here with a cool recipe, Summer Peach Mocktail drink. Mocktails are generally non-alcoholic beverages. 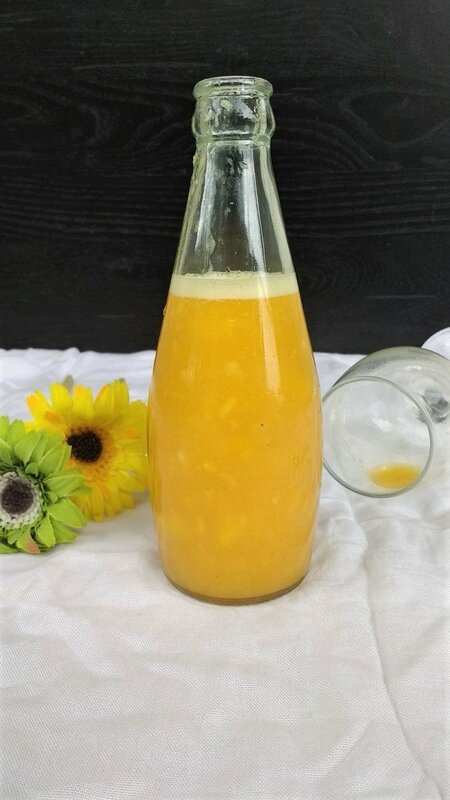 Here I made this mocktails with Peach , Mango and Orange juice. Its is so vibrant in color, even the look of it is refreshing. We are not a peach loving family but at the same time never hated it. It’s always like sometimes like it and sometimes don’t. Usually we buy peaches from Farmers market. But when my husband got peaches from Costco, it is bit a large quantity for us. As usually my blogging mind woke up to think what else can I make with those pretty peaches. My mind crossed over up-side down cakes but I thought of making a drink as it is boiling hot here. ( Will try cake later). I’m glad I tried it as it turned out so good. My son who is a lover of Orange liked it because its Orange color. I also added Orange juice in it. This Summer Peach Mocktail drink have little pulpy texture as I didn’t strain the peach and mango pulp. If you want your drink to thin and not pulpy you can strain it after blending. In anyways it tastes great for this hot summer. If you make it please don’t forget to let me know. I’ll be more than happy to know that someone had tried my recipe and liked it. Take all ingredients except orange juice in a blender. Pour it in a bowl. Add required Orange juice to make your desired consistency. I didn’t strain the peach and mango puree. So this is little bit pulpy. You can strain if you like it thinner. While adding Orange juice check for the consistency you need. If 1/4 cup is too low for you you can add more. Use freshly squeezed Orange juice for best taste , still store bought can also be used. 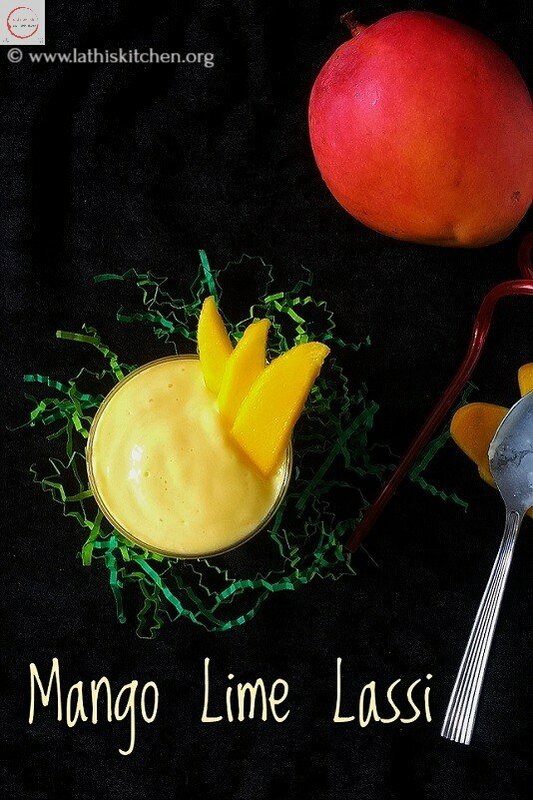 I didn't strain the peach and mango puree. So this is little bit pulpy. You can strain if you like it thinner. I’m submitting this recipe to Fiesta Friday with Jhuls @ The not so creative cook and Ai @ Ai made it for you . Yay! So glad you came and brought this yummy drink with you! Thanks for sharing at Fiesta Friday party! Thank you so much 😊..sure I love to… will definitely check that. Love the vibrant color…and seems so delicious and refreshing! Hubby is a fan of peaches so I am sure he will love this..Yum! mango ,peach and orange yummy combination, the picture with the ice cubes is so inviting ! That certainly looks droolworthy! Must-try for me..love peaches!